Perhaps I have been watching Once Upon A Time way too much, this shoot is looking a little like a fairytale character trapped in an enchanted forest. You know, a cape and all... It was unintentional but I really liked how it turned out! This is another look I did for Ma Petite Shoe's lookbook. 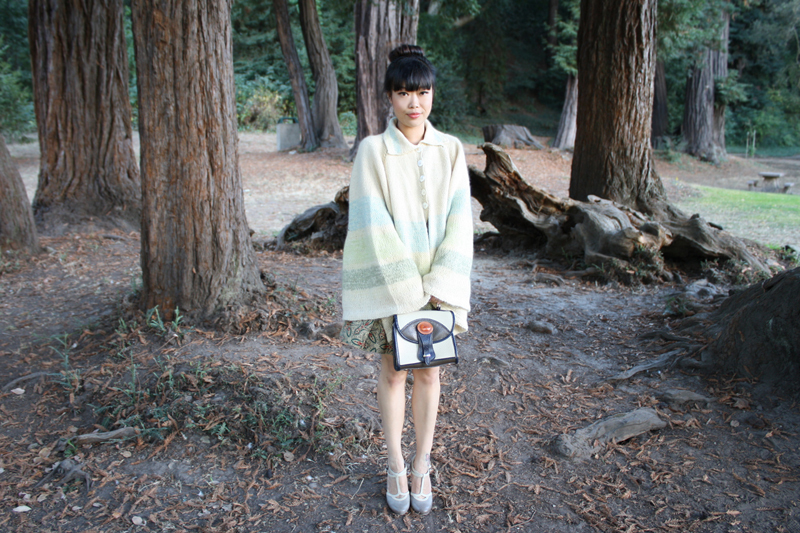 I wore a vintage knit cape, a paisley silk dress by TBA, and a vintage Dooney to go with the Fourth Wall by Seychelles. These shoes are so darling with flirty t-strap design and vintage silhouette! 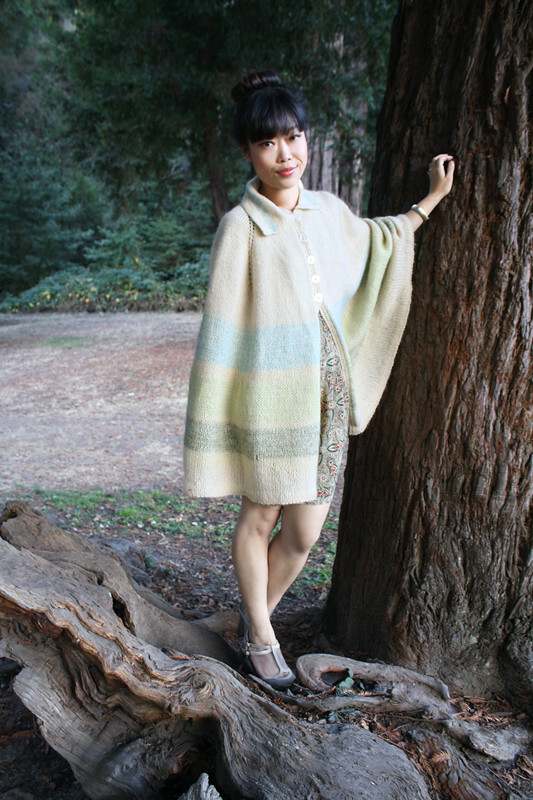 Vintage knit cape from Etsy. 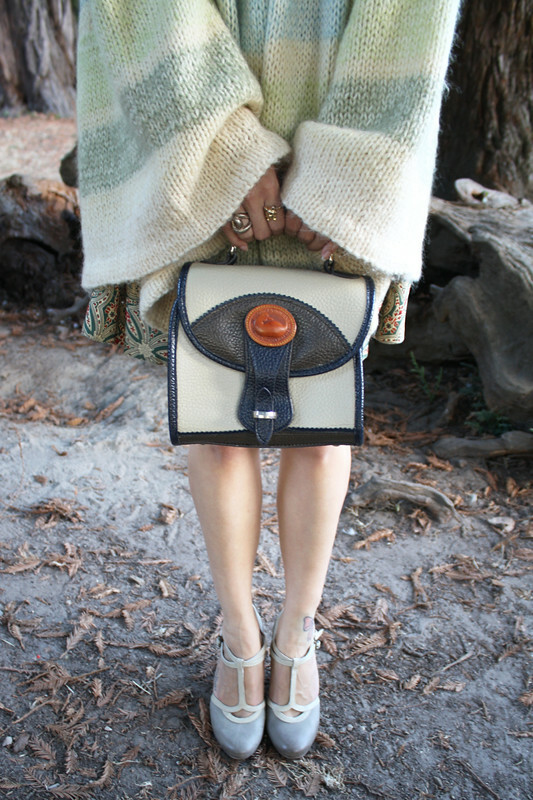 Vintage two tone handbag by Dooney & Bourke from Etsy. Fourth Wall by Seychelles c/o Ma Petite Shoe. Again what a beautiful outfit! Oh wow this look is magical! Very lovely outfit! Love the purse! 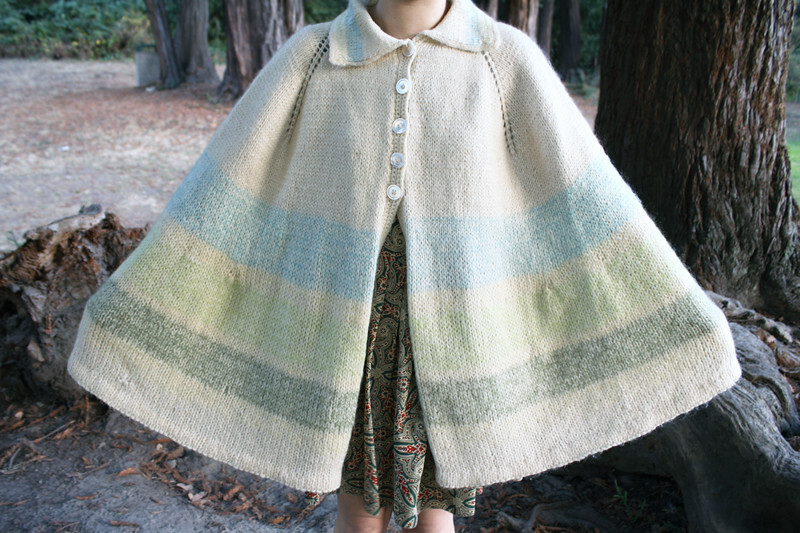 That cape looks so cozy! 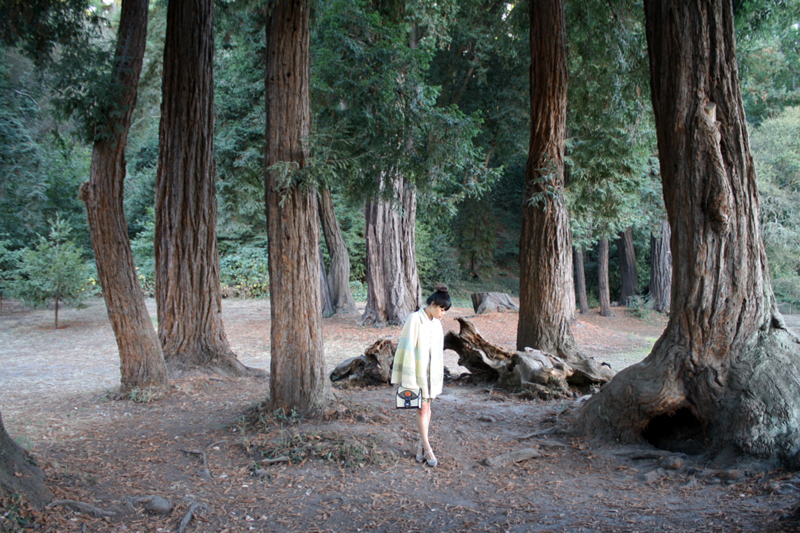 And this location is perfect for pictures. 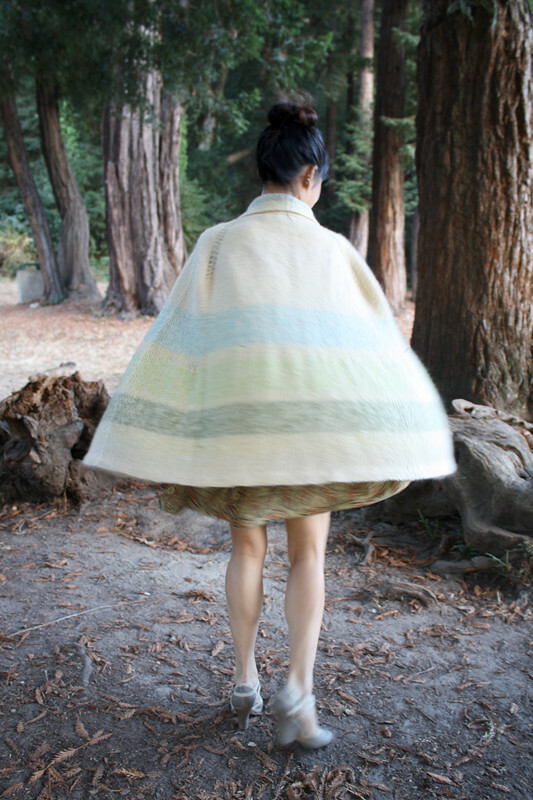 Love your knitted cape, absolutely amazing! I think you;d fit in so well in a fairytale, especially in this cape, I can just imagine swishing around in something like it. Really pretty! I really love the first picture. I watched Once upon a time too, oh how I love it.